How do citizens make decisions? As one of the country’s leading political scientists, James Druckman has produced widely cited research on a variety of topics — from investigating how political candidates use the internet in their campaigns to measuring athletes’ alcohol and drug use. But what first garnered Druckman international attention were his theories on the concept of framing and his examination of how citizens make political, economic and social decisions in various contexts, as well as the relationship between citizens’ preferences and public policy. Druckman’s current research focuses on the methodology of communication in the political and scientific realms, particularly the effect of the politicization of science on long-term energy policy and public opinion regarding climate change. As a PhD candidate, Druckman focused on political framing — the perspectives induced by politicians with images, words and phrases in order to influence public opinion. He went on to study what happens when people are exposed to competing frames. Druckman found that a particular frame dominates based on its availability, accessibility and applicability. 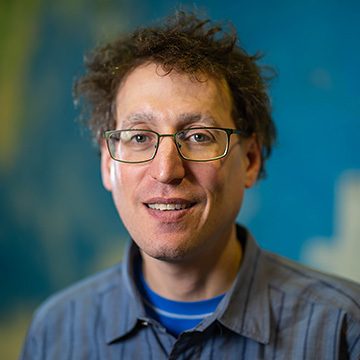 Druckman earned his PhD from the University of California in San Diego before joining the faculty at Northwestern, where he had earned his undergraduate degree. Today, he is the Payson S. Wild Professor in Political Science and associate director of the Institute for Policy Research. In 2012, he was elected to the American Academy of Arts and Sciences and received a John Simon Guggenheim Memorial Foundation Fellowship.